We are not selling the farm, we are going to move after all. We are going to keep our Grand Rapids house and rent it out. We are looking at a five year trial to see what we want to do at that time...move back to GR or stay on the farm. 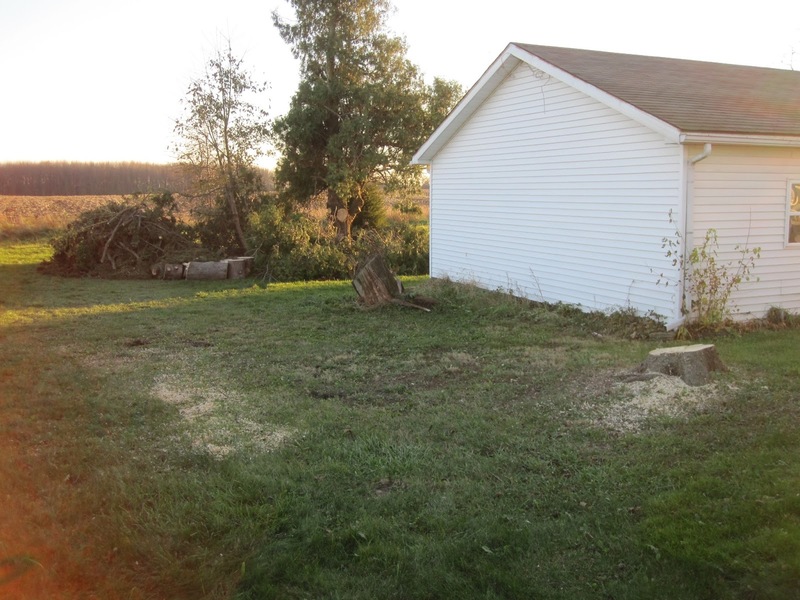 Jim rented a chainsaw on Friday and cut a pine tree down that was in the backyard next to the garage. By the time he got it cut up it was dark, so Sunday we had to go move the pieces out of the way because they will be putting up the fence for the dogs soon. You can see the pile Jim had started to the back of the photo. We had to move everything to the left of the photo back to that pile. Now we have a huge pile ready to burn! We won't be doing any burning until next year. 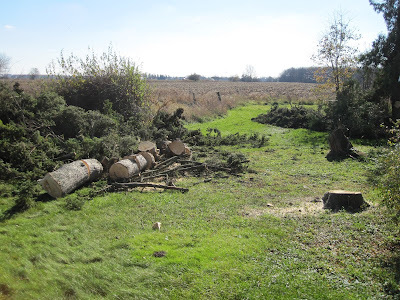 Next we have to cut down that big pine tree you see next to our pile. That all needs to be cleared out next year so the following year I can build my quilt studio attached to that side of the garage. It will be never ending projects for awhile! We just have to take one at a time.